Previously available exclusively at Pegasus Books in the East Bay (SF) area, Cometbus #55 3/4 has at last made its way east to The Copacetic Comics Company! 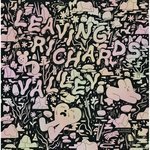 A rag tag assemblage of pieces of widely varying lengths, this 60-page issue starts off with a section titled, "Obituaries and Appreciations", in which Aaron reflects on a few people (and one place) in his life, including the recently deceased founder of Sparkplug Comics, Dylan Williams. 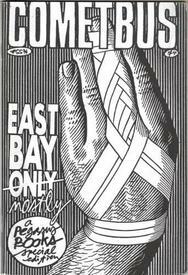 These are followed by a series of essays on the East Bay, a soap box speech on self-publishing and the "undergrond press", a reflection on music scenes, a couple reviews, and closes with a series of - gasp! - poems (or, at least, poetry-like musings), "The City Disappears."